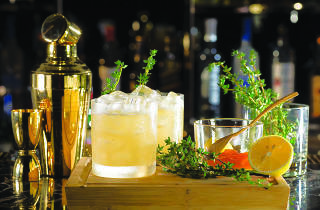 Of the many and varied things for which Macau is known, mixology-focused cocktail bars aren’t exactly top of the list. Until now. Ascott Macau’s new Heart Bar is hoping to kickstart a serious cocktail culture across the Pearl River Delta and with advice from Zoltán Konczol, of Mahalo and Honi Honi fame, its brought in Hong Kong-based maestro Reeve Yip, a former Barcardi ambassador, to oversee the creation of what is an extremely good cocktail list. The venue itself is luxurious, refined and, in stark opposition to its surrounds, almost understated – high ceilings are accentuated by dim lighting and a mix of classic and modern furnishings. In the middle of the room, an oversized wine cellar divides the dining room and lounge. We kick off proceedings with a vodka-based Expresso-tini ($88). Orthography seems to be the only problem here, as the drink itself is sublime. It’s balanced perfectly, sweet where it should be with a definite kick of caffeine to even things out. The Whisky Figgy ($85) is just as impressive. 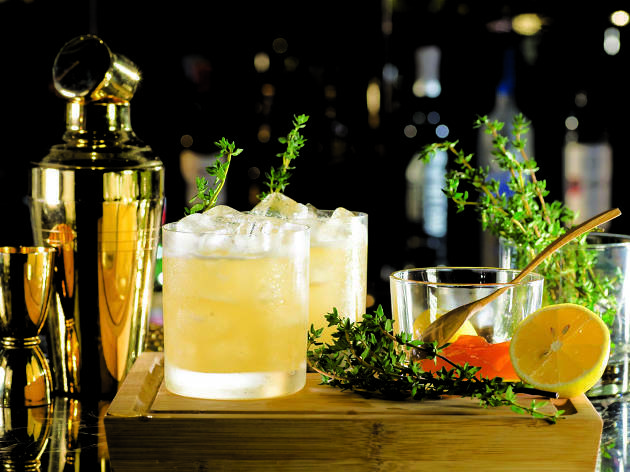 An equally well constructed mix of Dewar’s 12-years, apricot jam, lemon, honey water, pineapple juice and thyme with a complexity that continues to unfold the longer it’s on the palate. Our only real issue at Heart Bar is the service. The staff are friendly, but a failure to communicate leads to much toing and froing regarding our orders. No big deal itself, but an obvious push to rush us out, as well as no assistance with which exit we ought to use come closing time, mars what was otherwise a very pleasant experience. Fix up the service, keep making excellent cocktails and this joint should soon hit the jackpot.